Regardless of what experts predict for the markets this year, fewer parents believe they’ll need professional financial advice than last year, according to a recent survey. Only 30% of parents plan to seek expert financial advice this year, compared to 38% who said they would last year, according to a recent survey by New York Life. However, among millennial parents — those between 18 and 34 years old — that proportion rises to 44%, according to the survey, which polled 1,102 adults aged 18 and older, with at least one child under the age of 18 living at home, across the U.S. in November. The figure may have something to do with possibly misplaced optimism, according to the report. Fifty-eight percent of parents believe their financial situation will improve this year and 61% think they will be in a better position to deal with unexpected events, New York Life found. And while millennial parents are more likely to want professional advice, they’re also more optimistic: 65% think their finances will improve this year, and 77% believe they’ll be better prepared to deal with the unexpected, according to the survey. But American parents may need the guidance of a financial professional amid this optimism, New York Life says. The survey found that 72% of all parents, and 80% of millennial parents, believe that debt reduction should be their top financial priority this year. 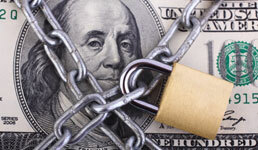 This focus could hurt their overall financial stability, however, according to New York Life. In particular, only 28% of parents polled believe their financial plan would take care of their children if something were to happen to them, the survey found.